The Kirkcaldy Leisure Centre was a £13m new build project which is part of Fife Council’s wider investment in Leisure facilities across the region. The leisure centre has a six lane 25m pool, a 16.5m learner pool with moveable floor, health suite including steam room and sauna and café. 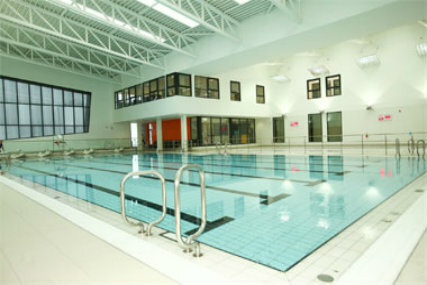 Spectile Litd were pleased to supply the swimming pool tank tiles to this project.